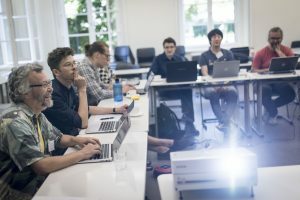 The yearly DH conference will be taking place in Utrecht, the Netherlands, this year, and we’re happy to report that we’ll be participating with two papers. There were a total 891 (!) proposals, apparently, with an acceptance rate of 42 per cent. 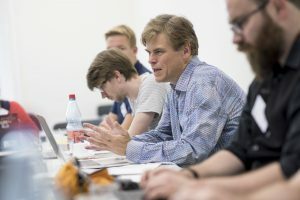 Alexander Dunst & Rita Hartel will be talking about “Quantifying Complexity in Multimodal Media: Alan Moore and the ‘Density’ of the Graphic Novel”. 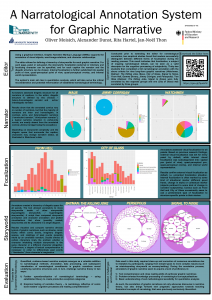 Rita and Oliver Moisich will also be presenting a poster on our editor software, which is available for download in a new version and with new features here. See you in Utrecht! David Dubray and Jochen Laubrock just published a preprint on automatic speech balloon detection and segmentation using deep CNNs, https://arxiv.org/abs/1902.08137. The fully convolutional model, trained on our GNC annotations, achieves state-of-the-art performance on the GNC as well as the eBDtheque data sets. 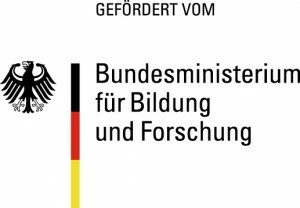 Such semantic segmentation of images is an interesting problem in computer vision and document analysis. Speech balloon (and caption) segmentation can also be considered an important step in building an OCR pipeline for analyzing text in graphic novels. 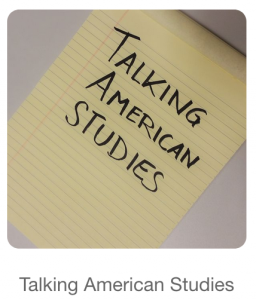 Here’s another pre-holidays piece of news: In the first episode of a new podcast on American Studies, appropriately titled “Talking American Studies”, Alexander Dunst talks to Dennis Mischke and host Verena Adamik (both from the University of Potsdam) about the DH scene in Germany and an upcoming special issue of the journal Amerikastudien, titled Digital Scholarship in American Studies. You can listen to the episode here. Many thanks to Verena for making this possible! 3. Oliver Moisich & Rita Hartel: Multimedia Markup Editor (M3): Semi-Automatische Annotationssoftware für statische Bild-Text Medien (Poster). Hope to see you there, and happy holidays from the Hybrid Narrativity research group! For anyone interested to know what we’ve been up to over the summer, our contributions to the upcoming “3rd International Workshop on Comics Analysis, Processing and Understanding” (somehow, short: MANPU) are now available in a handy pre-print format. The workshop will take place as part of the Multimedia Modeling (MMM) conference in Thessaloniki, Greece, from 8-11 January. 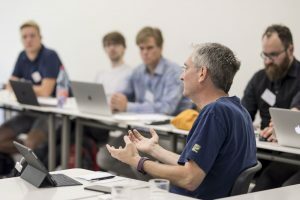 Here are the links to Alex and Rita’s “‘How good is good enough?’: Establishing Quality Thresholds for the Automatic Text Analysis of Retro-Digitized Comics” and Jochen and David’s “CNN-Based Classification of Illustrator Style in Graphic Novels: Which Features Contribute Most“. We’re happy to report that our co-edited volume on Empirical Comics Research has now been published. You can read the introduction here and find more information about the book (or even better: buy it) on the publisher’s homepage or on Amazon. Comics is a medium constituted of images combined with text and other visual information in order to narrate a story. Nowadays, comic books are a widespread cultural expression all over the world. The market of comics continues to grow, for example, the market in Japan is about 4.25 billion USD in 2015. Moreover, from the research point of view, comics images are attractive targets because the structure of a comics page includes various elements (such as panels, speech balloons, captions, leading characters, and so on), the drawing of which depends on the style of the author and presents a large variability. Therefore, comics image analysis is not a trivial problem and is still immature compared with other kinds of image analysis. – eBDtheque consists of 100 images with ground truth for panels, speech balloons, tails, text lines, leading characters. – Manga109 consists of over 20 thousand images of 109 volumes (21,142 images). 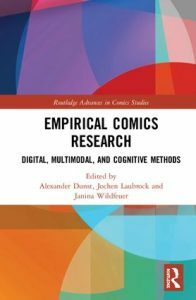 We’re happy to report that the edited volume “Empirical Comics Research: Digital, Multimodal, and Cognitive Methods” is now in press and should be out in July. Many thanks to all our contributors, and of course our co-editor, Janina Wildfeuer! More information on the volume can be found here.